ALEX BRUMMER: Is Aston Martin really worth £5bn price tag? 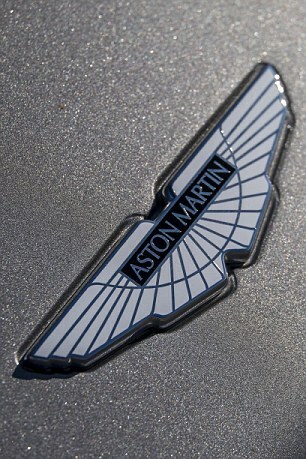 There are legitimate questions about whether Aston Martin is really worth the £5 billion price tag it is aiming for when cornerstone investors disgorge some of their shares on September 20. After all, it has a dodgy history which includes bankruptcy and an erratic profits record. The current owners have been tempted by the great reception that Ferrari has achieved on the Nasdaq. But it is worth noting there was also scepticism about Ferrari, a spin-off from Fiat, yet it is now traded on a price-to- earnings ratio fitting for a luxury brand. Aston Martin has the additional attraction of brilliant product placement in the James Bond films. Under current management it has revved up sales and profits, has a credible pipeline of new vehicles and is investing in innovation, including an electric car and a sports utility vehicle. It is also worth reminding ourselves why we have stock markets. They allow the ownership base to be broadened, offer investors greater transparency and focus, and give growing companies the option of raising new capital to expand. The arrival of Aston Martin, which may eventually qualify for FTSE 100, is also a recognition of Britain’s engineering skills even if the engines, as one might expect, are German. Originally, the engines for the relaunched BMW-owned Mini were also built overseas. But as sales were built new production lines opened in the Midlands. One wouldn’t be surprised if the Aston Martin float is being closely monitored in India. The jewel in the crown of Tata Motors is Britain’s Jaguar Land Rover, with annual profits of £1.5 billion, which could, if split out of Tata, have a standalone value of £25 billion. Parent Tata & Sons recently has been buying back shares, reportedly increasing its stake in Tata Motors to 33.4 per cent from 25.22 per cent. Buried within is Jaguar Land Rover, which is just another subsidiary. As a freestanding enterprise quoted on the London Stock Exchange, value could be released for investment elsewhere in the Tata empire and access to capital for Jaguar more easily obtained. Then the UK could genuinely claim to be a leader in upmarket, designer-led car making. One of the great mysteries of our times is that, a decade after the financial crisis, Britain has still never had an independent Royal Commission into banking. Australia, which navigated the financial crisis with remarkably little disruption was subsequently hit with a series of governance and balance sheet problems at its major banks. It set up a Royal Commission to see what went wrong. Since it started lifting the stones, all kinds of malpractice has come crawling out including alleged bribe-taking by bankers, fees charged to customers without the services being provided and board-authorised deception of major investors. Those familiar with events at Royal Bank of Scotland and HBOS (now part of Lloyds Banking Group) will be familiar with much of this behaviour. Still unpunished is the role of RBS’s Global Restructuring Group in exploiting small business clients. Now, one of Australia’s senior financial officials, former Federal Treasurer Peter Costello, wants the probe to be widened to look at the role of regulators accused of not being awake at the wheel and allowing poor behaviour. As a result of sterling work by the Treasury Select Committee in the UK, under the guidance of former chair Andrew Tyrie, we have a much better understanding of what went wrong at Britain’s banks. But none of this is a substitute for the kind of full, independent and binding probe the public deserves. The priority of government has been to make banking safe again as a huge earner for HMRC and the balance of payments. But sweeping the past under the carpet is not acceptable. NiceE to know that, with Moscow planning its most intimidating war games since the Cold War in 1981, the Washington-based International Monetary Fund is maintaining strict neutrality. It has invited Elvira Nabiullina, governor of the Central Bank of Russia, to deliver the prestigious Michel Camdessus annual banking lecture next month. Forget klepto-capitalism, Western economic sanctions and the fatal Novichok poisoning, let President Putin’s former top economic adviser speak.